They have not taken proper decisions then we have to carry their sins. We will provide solutions for this problems with the help of the efficient employees of Ceylon electricity board and we will never pass the burden to the people. UNP is the party that always with the people, the UNP is ready to face any kind of elections without fear. “Since 2008 Ceylon electricity board have been running on loss, it gain profit only for 3 years. There are lot of ministers incharge for this subject during these period, the ministers failed to make decisions, therefore they are responsible for the lost faced by Ceylon electricity board. We have to think how we can resolve this problem. We must take permanent solutions for this problem with the president, Prime minister and the ministers. “I’m doing politics and not scared for anyone. I have been serving the people by obtaining the suggestions and views of Ceylon electricity board engineers associations and other employees attached to the C.E.B. The cost of a unit of electricity production Rs.23 whereas we selling it to Rs.16. How can we get a profit in this system. So it is important to find out a permanent solution for this problem, providing temporary opportunities for the parties is not a solution. But we cannot do this within a couple of days, we cannot resolve this problem for the last 15 years, but I have laid a strong foundation to resolve the problems. Ministers are coming into power but they are scare to make decisions they are shivering when they have to make decision said Hon. Ravikarunayake minister of power, energy and business development. Yesterday honorable minister visited to Mount lavania, Sri Dharmapala temple to mark the birthday of Rrev. kottukoda Dhammavasa Mahanayake Thero where he responded to the question raised by journalist. Minister Ravikarunayake further said “since 2015 to up to now no projects have been launched to add electricity to the national grid. We were able to witness a very backward situation. Every year the need for electricity raised by 7% to 8% but electricity is not produced to fulfill this need. This is the problem. I never changed my polices. For the last 4 years, if they have implemented the ideas I proposed, today we will not find such problems. Today we have to carry these sins because they have not taken proper decisions then. Whatever it is we are not scared. 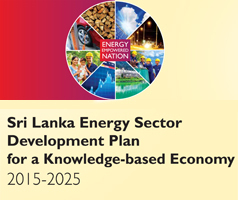 We have been carry forward the projects with the assistance of the employees of Ceylon electricity board. We will never pass any burden to the people. It is difficult for me to resolve this problem within a short period that have been existing for a long time. But we will try to find a permanent solutions by means of discussions. The secretary to my ministry has been working efficiently in this regard. Therefore we do not have any problem but one of the great problems we have been facing is that there is no room for those who work efficiently. Those who are washing the plates may break such plates. So when we are working we are liable for criticism. UNP is a party that always with the people we never escape from problems. Those who cannot face the people are behaving in such a way. We too cannot be identified in a similar way. The presidential election is round the corner. Whatever the elections the UNP is ready to face such elections without fear” he said.